Ocean Blue is a true 'Sailors Boat'. It is lightweight at under 4 tonne and will cruise all day. 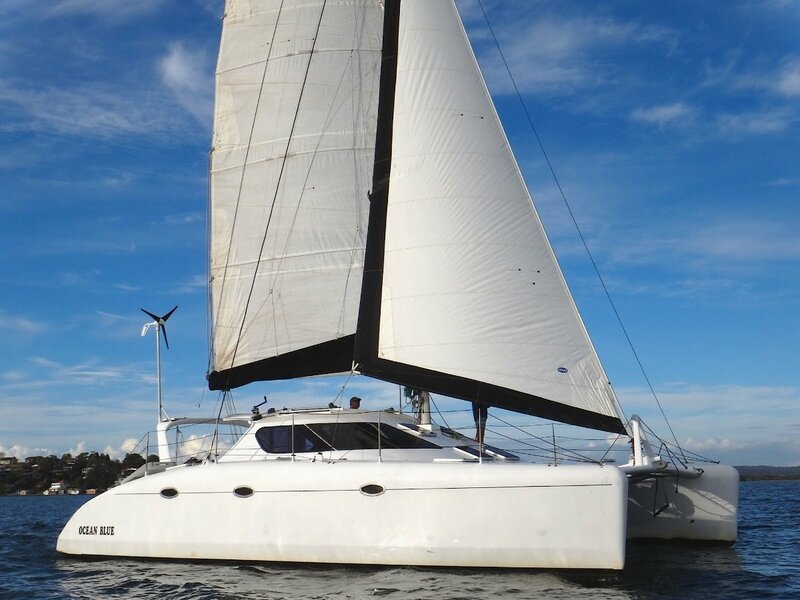 Jeff Schionning's designs are synonymous with great catamarans and are designed to be light, fast and extremely durable. This one in particular is light and is capable of an additional 1 tonne in weight to get down to Design Water Line (65-70mm above DWL with an immersion rate of 160kg/cm). 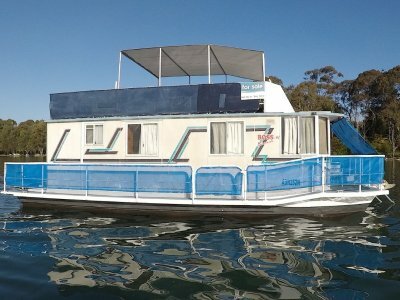 Featuring a large open living area with well equipped galley (electric fridge, even has a wine rack!!) 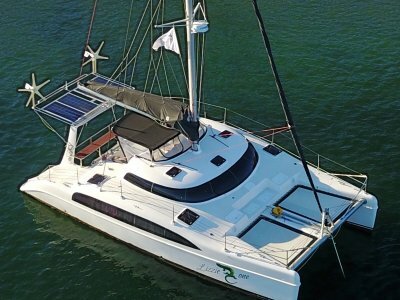 and berths accommodating 9 people, this is a clearly great catamaran with solar panels, wind turbine and looks amazing on the water with it's aerodynamic, sleek lines. 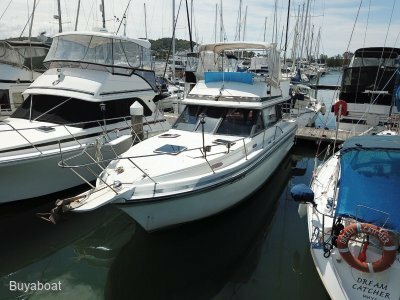 The 2018 refit has just been completed and now is a great time to give us a call and organise an inspection. 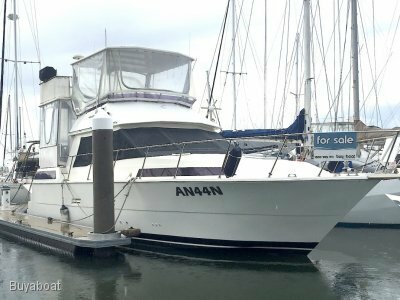 Twin Yamaha 9.9HP high thrust outboards (completely retractable for beaching) and fast sailing. New electric toilet and plumbing (2018) with 200 litre holding tank.